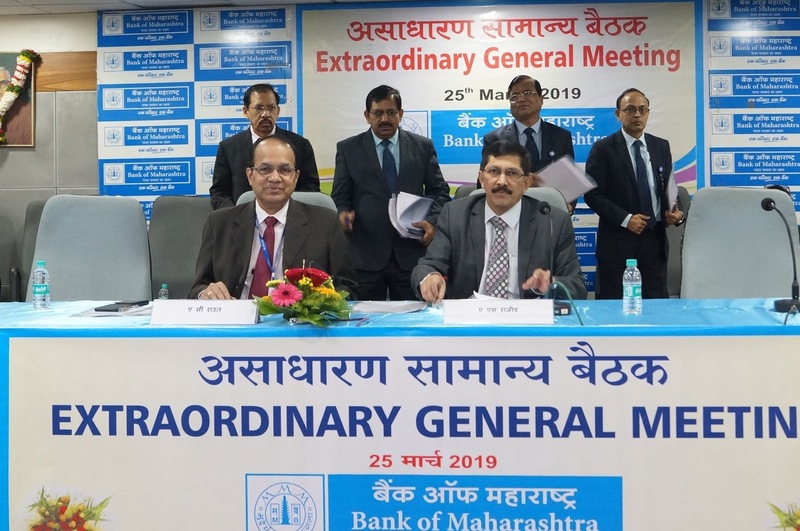 PUNE: Shareholders of Bank of Maharashtra in its Extraordinary General Meeting held today, at Pune approved the proposal for issue of 15,47,16,981 equity shares of Bank at Rs. 13.25 per equity share to Government of India aggregating to Rs. 205 crore. Government of India had infused the capital of Rs. 4498 crore and Rs. 205 crore in Bank in December, 2018 and February, 2019 respectively. 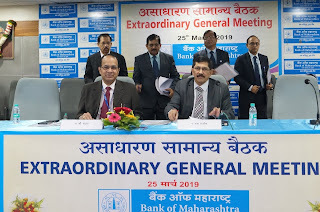 After the allotment of equity shares of Bank to Government of India against this capital infusion, Government of India’s shareholding in Bank will increase from 87.01% to 94.10%. This capital infusion would help to improve the Bank’s capital adequacy ratio and to help for the business growth of Bank. The meeting was attended by all General Managers and shareholders of the Bank.